Every year I like to create a new advent calendar. As, I've been working on the Pixel Art Advent Calendar for our readers, I used inspiration from pixels to make this year's advent calendar for my family. I have a standard Christmas tree-shaped hanging, which usually comes out every year and is the base for my project. The hanging is made from the wood of a beloved apple tree we had to cut down years ago, to make space for building works. I love that we have something that has some sentimental value to our family, and we can use again and again. My inspiration came one evening when the boys and I were making a Minecraft papercraft world. I wondered if I could recreate the box and use a craft cutter to cut the templates. 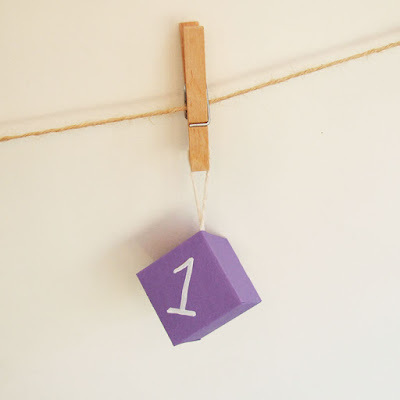 The idea was born and below I share how I made our Pixel Box advent calendar. Cardstock - colours of your choice. We used 6 different colours - purple, pink, blue, orange, yellow and red. I cut 2 boxes per A4 sheet of card, so needed 13 sheets of card. I used a Silhouette Cameo to cut the 25 boxes for this project. It's an impressive machine and for any crafter / maker probably one of those must-have machines at home. 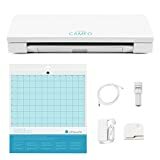 The Silhouette Cameo 3 (latest model, not the one I used) is very impressive, with wireless cutting and auto-sensing the depth of the blade for cutting. It can cut card, paper, vinyl, fabric, felt and more. It can even be set up as a drawing machine, using a pen attachment you can send drawings to be "printed". Download my Silhouette pixel box template here. The template is only available for personal use. A credit would be appreciated if you use our template in a project and post it online. From start to finish, it took me about 1.5 hours to make this project - that is with using a craft cutter. It's easier to make the 25 boxes in a "factory-line" method (ie. first cut all the templates, then add all the strings, etc.) However, you may want to make the first one in its entirety to get the hang of it. Some Christmas tunes on our Amazon Echo, turned this project into fun afternoon of making and getting into the Christmas Spirit! 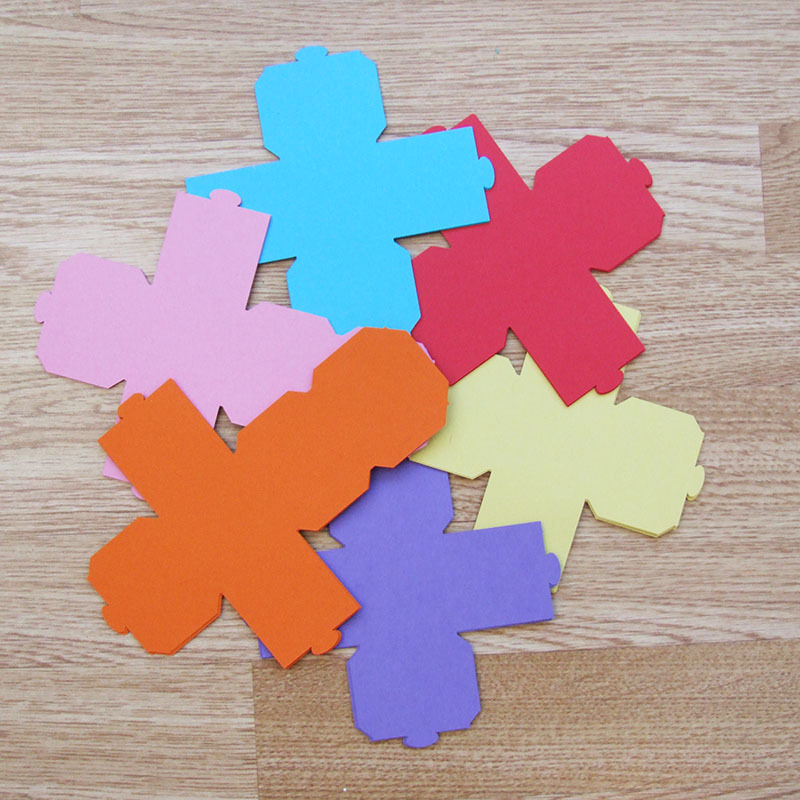 Cut out the box template in the coloured card of your choice. 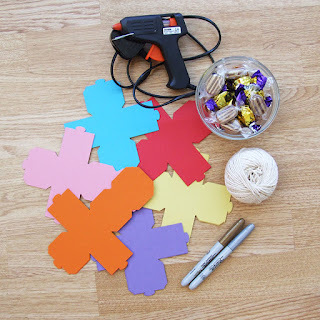 This is definitely much easier and quicker with a craft cutter. 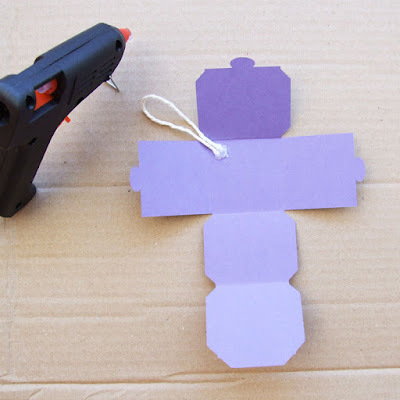 Measure a length of string and cut to size, then use hot glue to secure inside one corner of the cut-out box. You could also use strong tape like duct tape, but I found sticky tape wasn't strong enough to hold. The last thing you want is for the boxes to drop before you get to number 25! 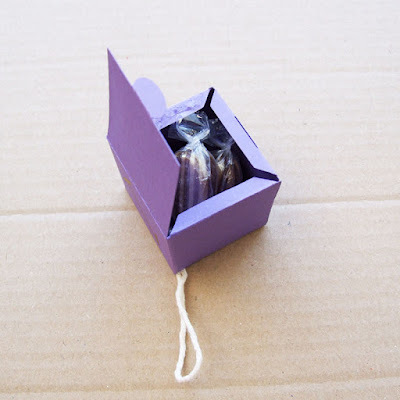 Create the box, by folding it and tucking the tabs into the slots. Fill each box with a sweet or something small. I added 3 little sweets in each box, one for each of my kids. Number the boxes and hang them up. 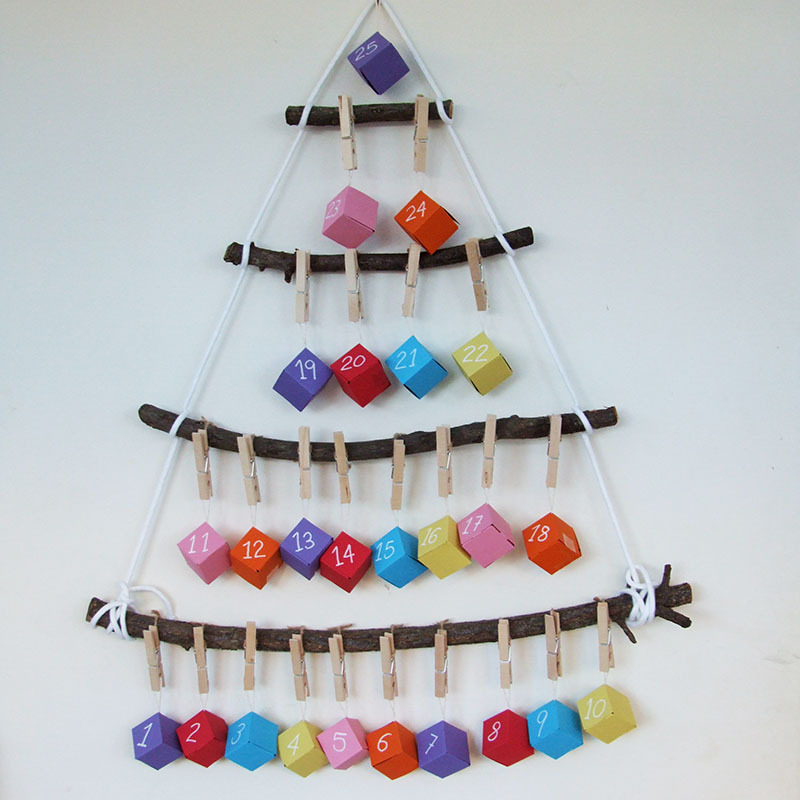 Some string and wooden clothes pegs would look very effective too. 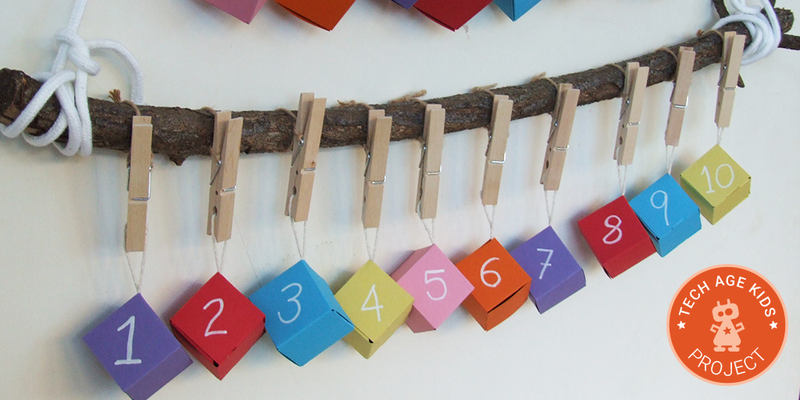 I love bright colours, and decided to make our pixel box advent calendar multi-colour and fun. With simple white numbers and hung on our natural homemade Christmas tree decoration - it's not only a great advent calendar, but a really lovely decoration for Christmas.